I have recently conducted an interview with GM Alexander Ipatov (2615 FIDE) on a topic of improving at chess. Alexander started playing chess at age of 4, became Natianal Master and International Master at 15, Grandmaster at 18. In 2012 he became the FIDE Junior World Champion. GM Ipatov participated in many prestigious chess events including the 2014 Chess Olympiad in Tromso, Norway. 1. 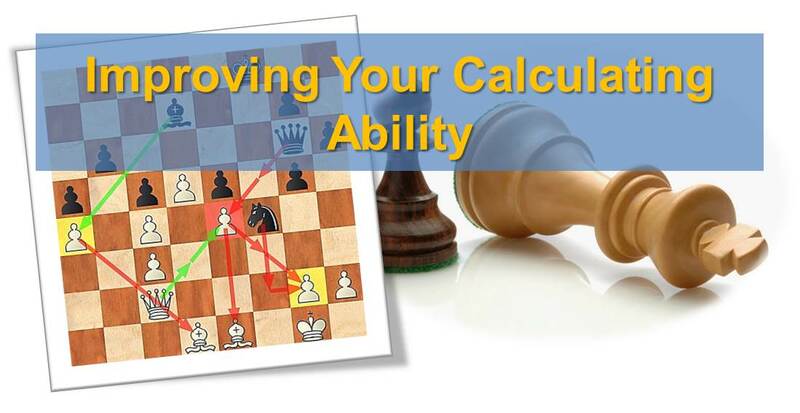 What in the most quick and effective way to increase one’s ELO rating studying individually (no coach involved), for chess players 1400 – 1800 ELO. Answer: I recommend solving chess tactics and studies daily (from 30 minutes to 1 hour), and also analyzing the games of the world champions with their own annotation. 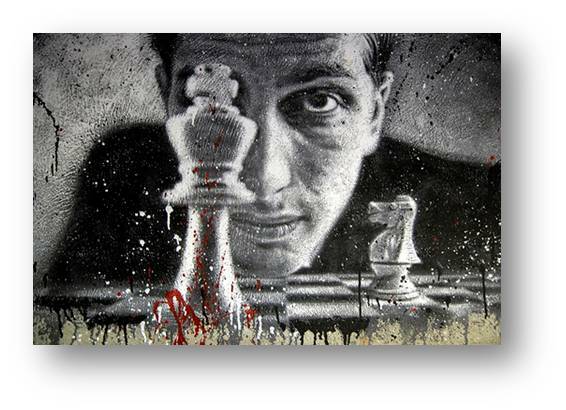 I suggest focusing on games of players like Capablanca, Alekhine, Botvinnik and Smyslov. By sticking to this simple routine novice players can quickly improve. 2. Could you suggest an example of an effective training program for chess players 1400 – 1800 strength? What changes in the program once the player’s level goes up? Answer: When I was younger, I followed the advice from question #1 and it helped me a lot. I recommend that simple outline to anyone looking for improvement. I think chess engines do not play any significant role in improvement of a chess player, at least not until they reach IM/GM level. Currently, I only study chess by skimming through new games, especially paying attention to the opening lines and variations. 3. How much time do players of 1400-1800 strength need to dedicate to studying openings and how should it be done? Answer: The most important thing in studying chess is to do it systematically (i.e. everyday). Studying only one time per week, even for 8 hours, is not as efficient as multiple times per week. I do not recommend using chess engines for opening preparation to chess players under 2400. Instead, I suggest looking through chess games of strong players (2600+) and trying to understand their plans, ideas behind positioning of pieces, etc. 4. What is the main mistake that most novice chess players make, preventing them from improving at chess? Answer: Trusting the computer analysis too much and trying to memorize openings, endgames, etc. instead of understanding and ‘feeling’ the positions. 5. Is playing blitz and rapid chess helpful for becoming a better chess player? Answer: If playing against a stronger opponent, from whom you can learn something new, then yes. Generally, I do not suggest spending much time on blitz and especially online chess. That can develop some bad habits such as playing on intuition, not calculating variations and rushing the moves. 6. What chess book has helped you the most? Answer: I cannot name one single book that helped my chess. The most useful for me was studying chess game collections by strong player (such as in question #1). 7. How much tactics an improving chess player needs to solve daily? What difficulty level that tactics needs to be? Answer: Tactics should be solved daily from 30 minutes to 1-hour sessions. It makes sense to start from easier problems first and leave harder for the end. Then, once the overall chess level grows, the difficulty of the problems should be increased as well. 8. Do you have a personal chess database with your games, opening preparation, etc.? Answer: Of course, I have a database with my own annotated games, position analysis and opening preparation. I set ‘goals’ and ‘deadlines’ for chess and life in general. 9. What chess programs do you use? Answer: I only use ChessBase 12 and Houdini 4 Pro. Good for tournament preparation and game analysis. 10. 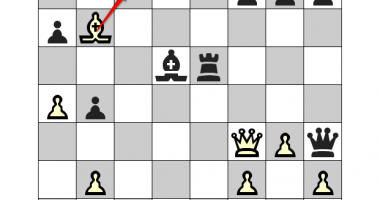 Is it worthwhile to play against chess engines (handicapped)? Answer: Honestly I never tried that myself, but heard that some GMs do that. I think it is better to play against real human opponents, since this is whom we face in the tournaments! Credits: images are courtesy of GM Alexander Ipatov’s official website . Great interview, thanks Yury for doing this. It helped me a ton!